Carlos Gonçalves: openSUSE 11.1 has been released! openSUSE 11.1 has been released! openSUSE 11.1 just got released a few seconds ago! The openSUSE Project is proud to announce the release of openSUSE 11.1. The openSUSE 11.1 release includes more than 230 new features, improvements to YaST, major updates to GNOME, KDE, OpenOffice.org, and more freedom with a brand new license, Liberation fonts, and openJDK. This is also the first release built entirely in the openSUSE Build Service. 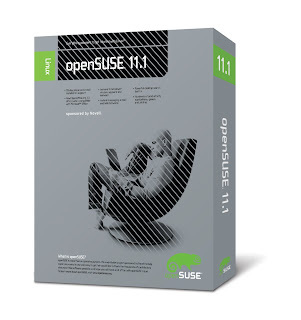 Get a copy of it by downloading via http://software.opensuse.org, or if you want an original copy order the openSUSE 11.1 Retail Box for only 59.95 EUR/USD. With the supported version of openSUSE you not only get a complete end-user documentation, installable media for x86 and x86 64-bit systems, plus 90 days of end-user installation support, but you also will be contributing by giving some money to the openSUSE project itself! Read the full announcement: openSUSE 11.1 Released!